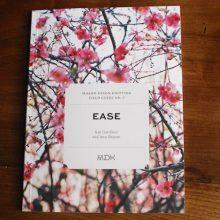 I’m all in on this Ease-along concept. Ease, ease, and more ease! I cannot get enough of the ease! You’ll be happy to know that the yarn for my Ease-along project has arrived from World Headquarters in Nashville. The first skein was already wound, for even more ease. 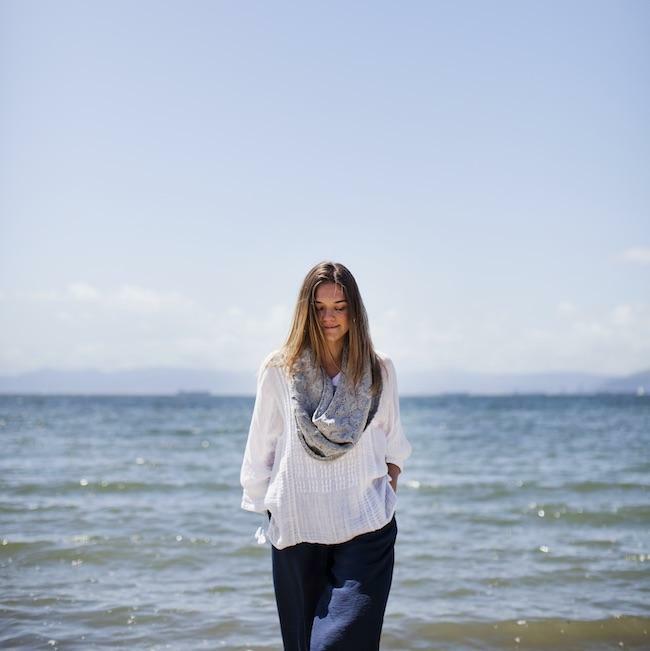 My project: the Sea Breeze Cowl-Poncho by Julia Farwell-Clay, from Field Guide No. 7: Ease. In the interest of full disclosure, my personal Sea Breeze will be strictly a cowl. As a person whose left shoulder is hardly ever without a shoulder bag hanging on it, ponchos have never been my friend. I love the flow-y shape of a poncho. But I love a shoulder bag more. If I had to carry my handbag in my hand, even to wear a magnificent poncho, I might die. 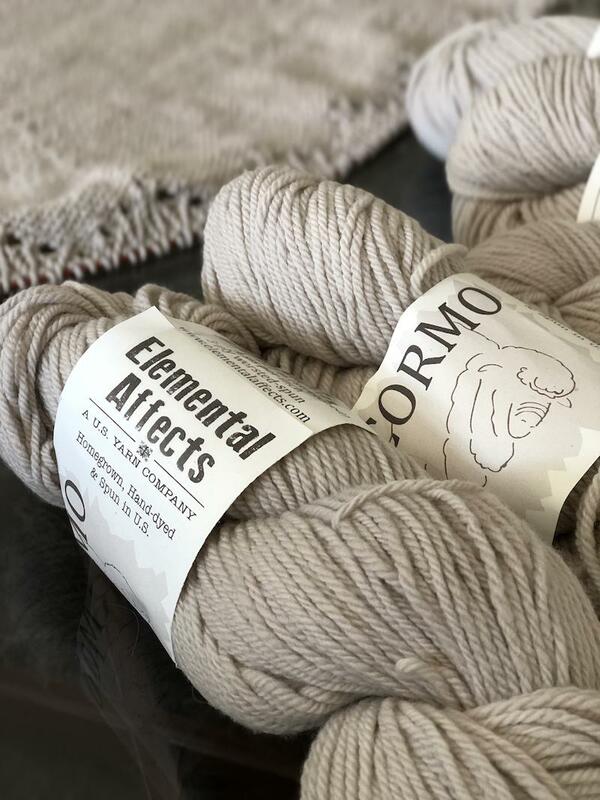 As you will recall, in the fuzzy blur of the TNNA yarn industry show last month, we purchased a sweater quantity of delectable worsted-weight Cormo from Elemental Affects, for research and testing purposes. 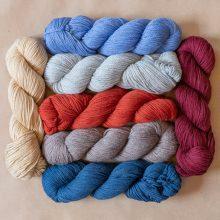 This yarn is USA grown, spun and dyed. It’s as springy as an actual live lamb. Such was my eagerness to try out this yarn that I got it without even having a project in mind, something I’ve learned (from my bad old days of overstashing) not to do. Luckily, the Cormo and I had barely reacclimated to life outside the convention floor, when Amy Christoffers released her latest invention: the Savage Heart Cardigan. Innit stunning? Can you imagine any outcome in which this lovely cardi would not look fantastique on me? (I cannot.) The perfect loosely structured, flow-y topper for my loosely structured, flow-y daily uniform. That little bit of lace, but not too much lace. The utter absence of buttons or the thought of buttons. This pattern is particularly dear to my (savage) heart because it is Amy’s response to the many requests she got to design an adult-sized version of her Cockleshell Cardigan for babies, which appears in MDK Field Guide No. 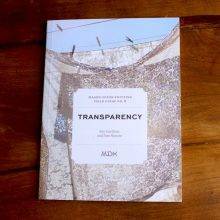 6: Transparency. It’s a darling cardigan with an ingeniously visible (transparent!) construction. I’m not sure I could ever have imagined the Cockleshell Cardigan in grown-up form, but as soon as I laid eyes on it, as modeled by Amy, I had to have it. And the Elemental Affects Cormo is a perfect match. Isn’t it clever? 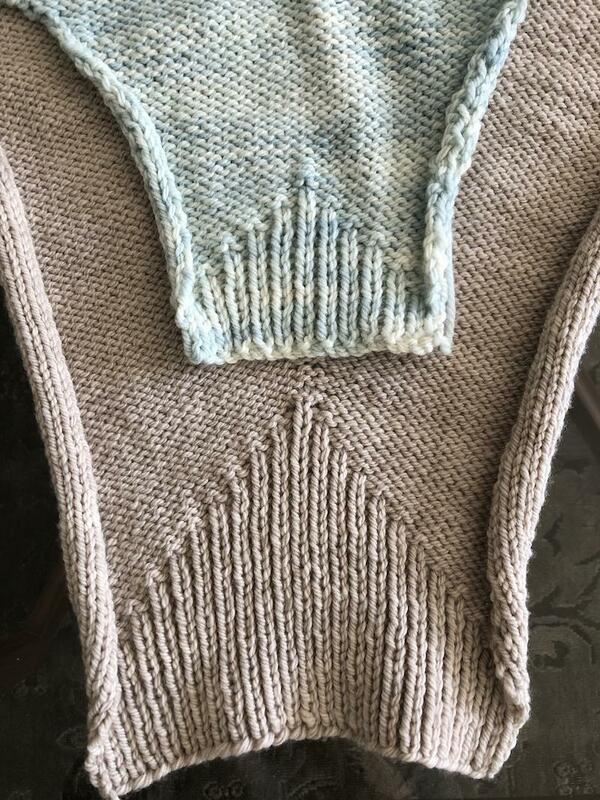 It’s been one of the most elegant knitting experiences of my life. The sleeve increases merge seamlessly (literally) into the gentle slope of the shoulder shaping. Smooth sailing all the way, a pleasant companion to all manner of sitting and knitting that life offers in the fleeting, golden moments of the easin’ season. I knew there was a reason I didn’t sew up my own wee Cockleshell Cardigan: so that I could take this mother-and-child sleeve photo. An excellent warmup for the Ease-along! Ease on down the dog days of summer. I like the look of cardigans like that, but how does it not fall off your shoulders? I knit a similarly-shaped (raglan-sleeve) open cardigan once, and I loved wearing it, except that it was always trying to slide off. I had that problem once with a cardi that had narrow, open fronts. These fronts meet in the middle, so should is fully covered. I’m optimistic and will report. This post made me so happy! I just received my Sweater yarn (in the same gorgeous color!) from you guys for Sea Breeze. I’m thinking cowl, too. Looking forward to doing it together. I love the color! Bluer than navy but still navy-ish. Proud to be casting on with ya! I completely agree with you and I almost spit out my coffee. Shoulder bag, always. 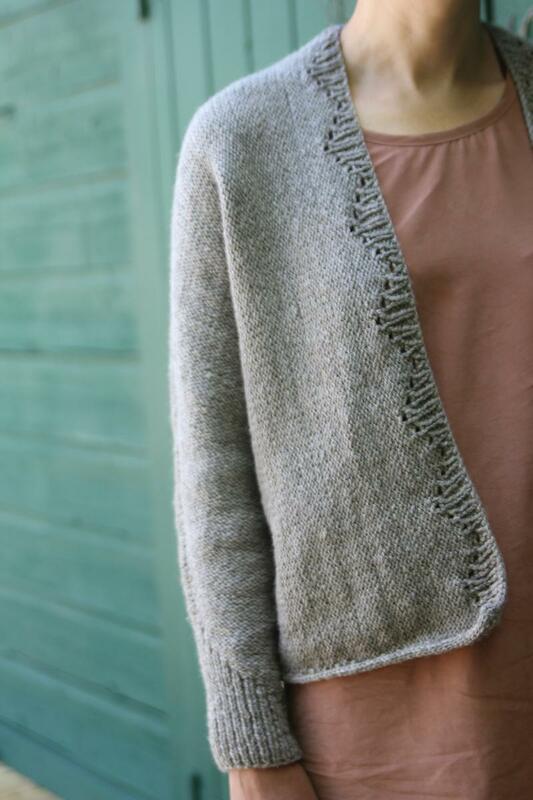 The Savage Heart cardigan has jumped to the top of my queue – I have some non-SW worsted (in a green of course) that I’m hoping to swatch soon. 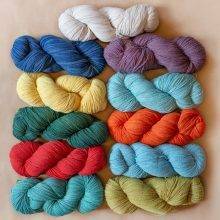 But then I just picked up some chunky yarn this past weekend (it was a sale on top of a sale!) 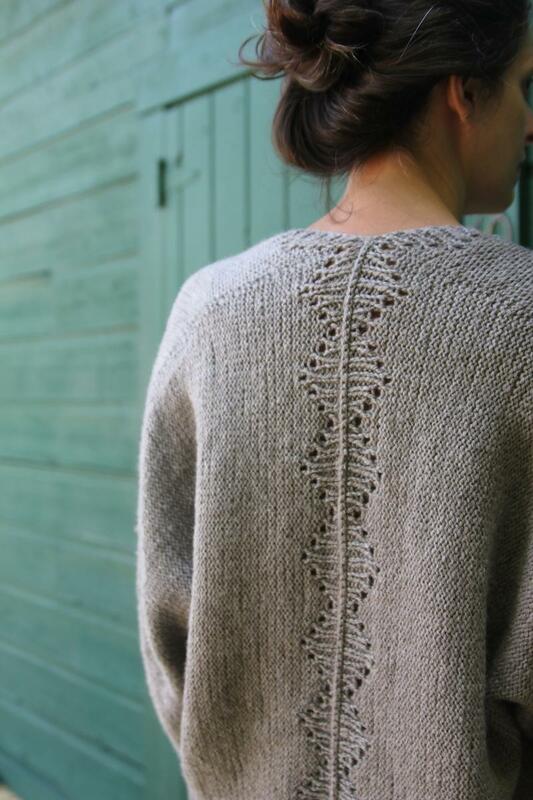 to knit another Carbeth Cardigan. This is why queue constantly gets renumbered. I love the Sea Breeze Cowl-Poncho! And was pleasantly surprised how well the shop sample fit when I tried it on at the MDK Knitting Getaway. Do you recall what size that one was? Will figure this out and get back to you! Thanks, Ann! I will. I need some ease in my life right now…dropping off two kids at college and driving home to an empty home that my kids assure me will be completely boring. Oh, but I have my knitting! What a beautiful sweater! And I’m sure that it will look lovely on you when finished. Photos, please. I can’t love this enough!!! 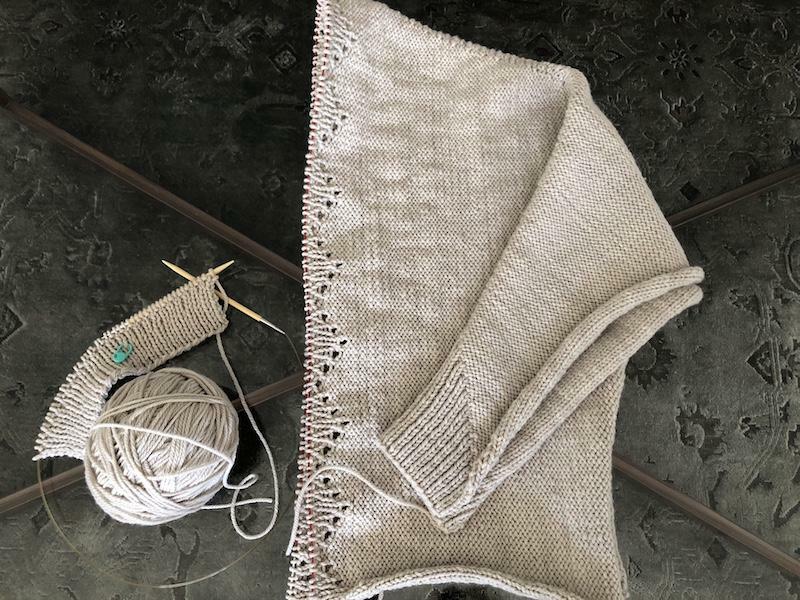 I’ve started the Cockleshell cardi for my dear granddaughter and now MUST make the Savage Heart cardigan (which I have purchased the pattern for) very very soon!!!! So lovely, I am completely jealous of your speed in knitting!!!! I just putter A row here and there! I’m with u on the shoulder bag! As much as I loved Scandal that purse thing was INsane to me. Oooh, that Cormo look goood! I began overdo gifts knitting! Maybe I will be easing along (we sang that song at 6th grade graduation). How cool that your knit-A-long has a song! Love the Savage Heart Cardigan! And I, too, envy your prolific knitting. 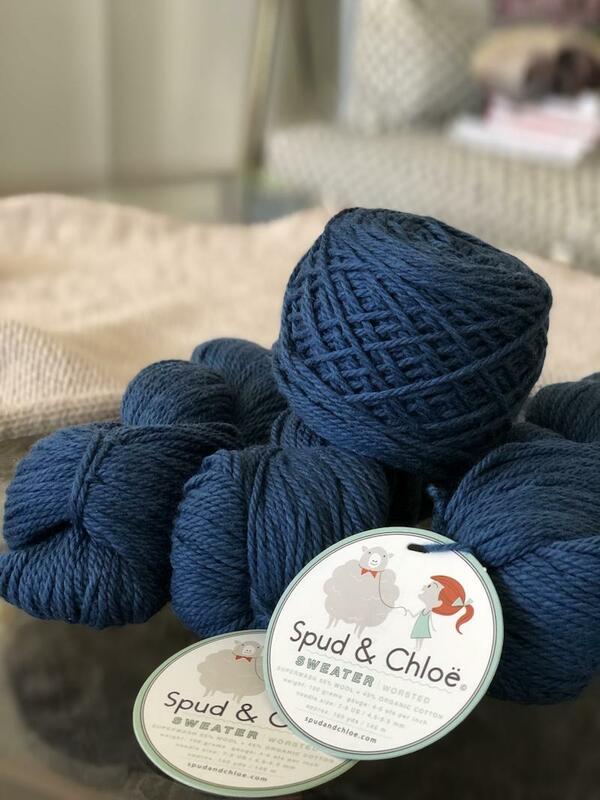 So much yarn, so little time…. Wow!! BEAUTIFUL. It is now on the top of my queue. Thank you for sharing!! 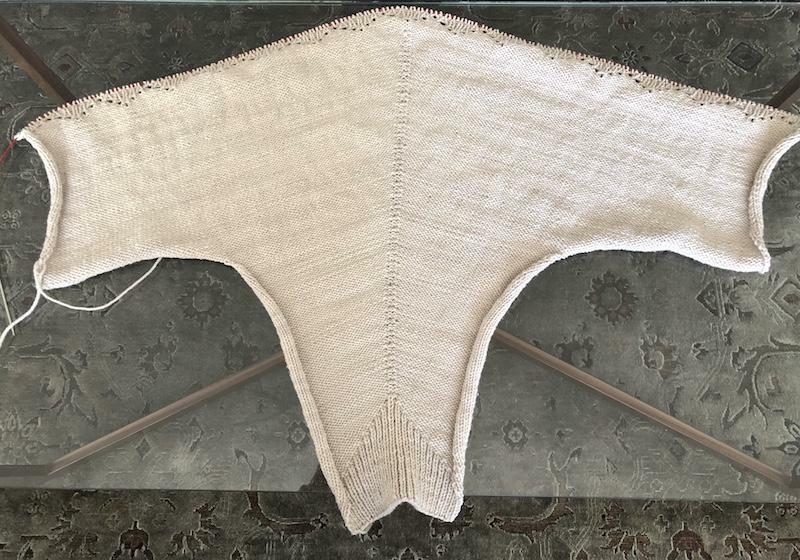 Kay, since you are nearly done with Savage Heart cardigan, do you see a way before or after to maybe add some edging (rib?i-cord?) to hem so it does not roll? The pattern calls for an i-cord edge and I think that plus a rigorous blocking will slow the roll. I have a Cockleshell Cardigan that’s all done but for the seaming. I should really get on that while it still fits the intended recipient. Me too! Two tiny seams remain for me, but am I doing it? Do I have a plan for doing it? I think it will take a baby being born. There is a simple solution to your problem with ponchos: A fanny pack! Of course, your kids may disown you due to cruel and unusual nerdiness…! Lol! I can’t believe I once wore one of those for non hiking purposes. In my defense, it was a long time ago, and I was young and impressionable. Sadly, fanny packs are back in. Check Tagwalk, men’s wear. Nice sweater. I am sure it will look great. I am extremely anti-shoulder bag. I cannot stand how they pull on my clothes. I go with the Minnie Mouse look and carry it on my wrist. Hi there! Love your latest book! I’m knitting the Picket Fence Afghan. 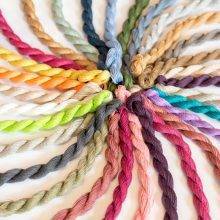 Is there a particular way to twist the yarn at the point that colors change? Thank you!